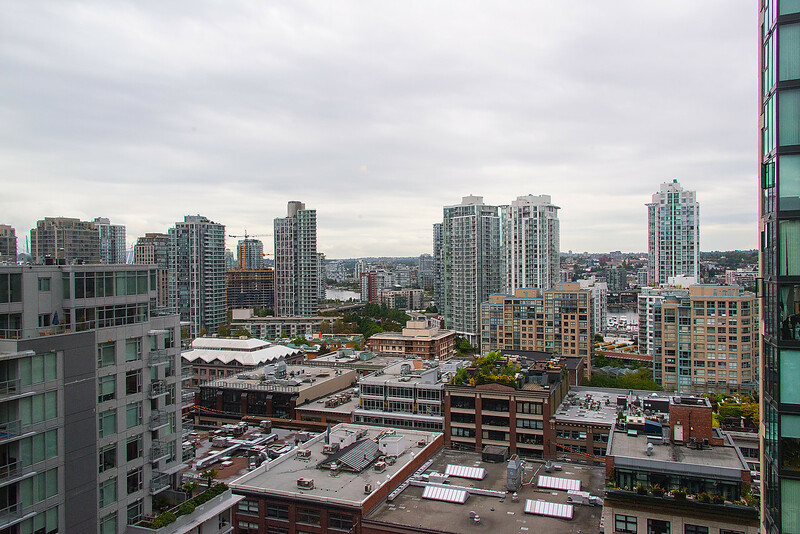 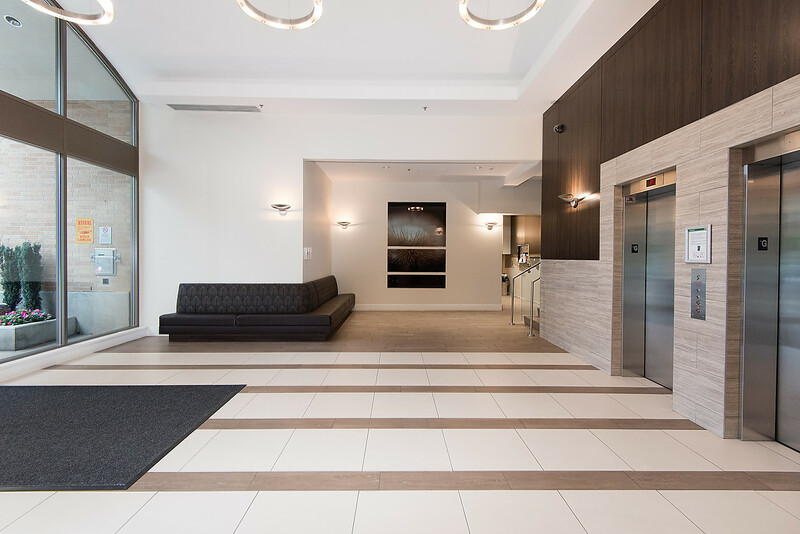 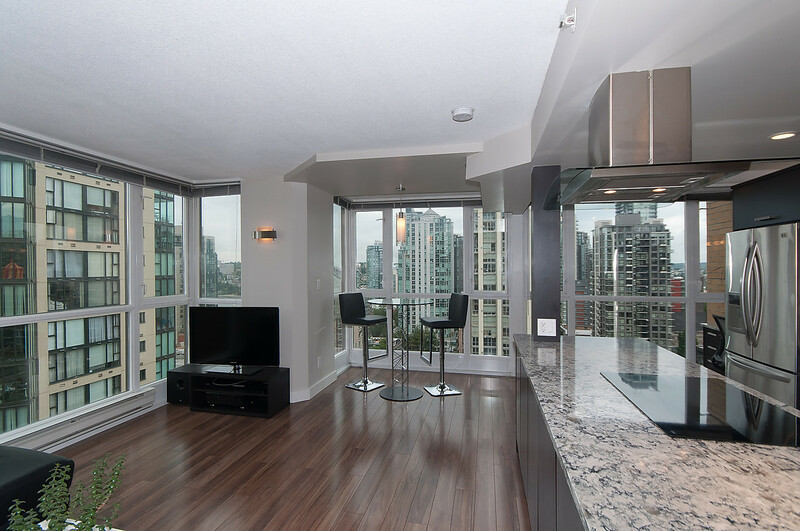 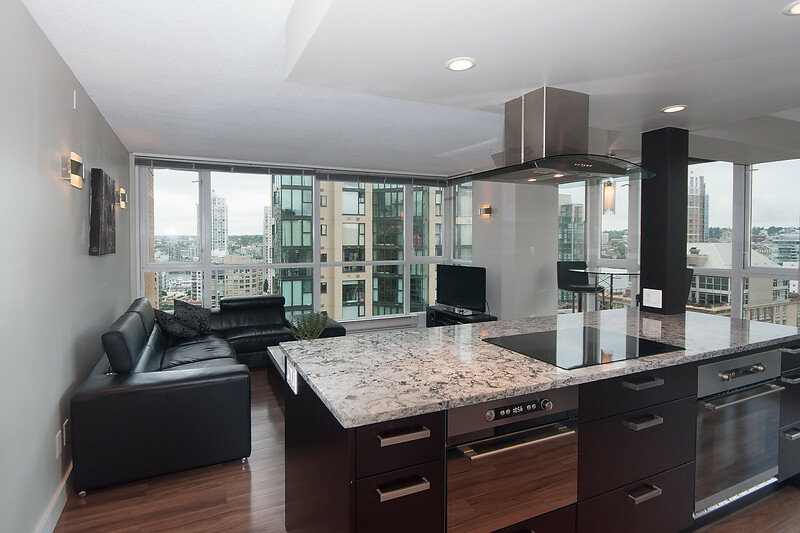 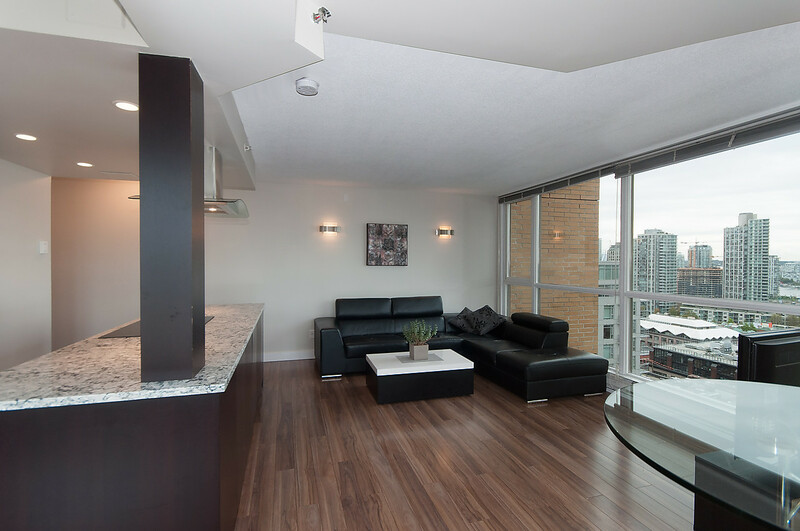 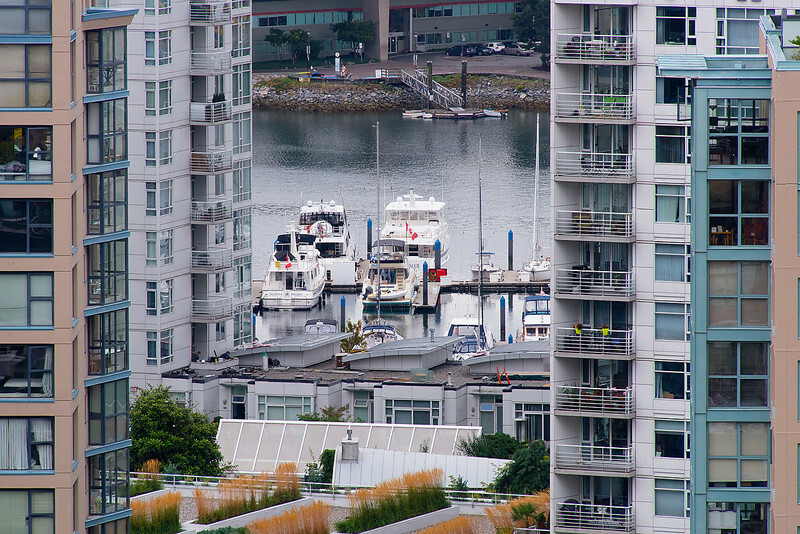 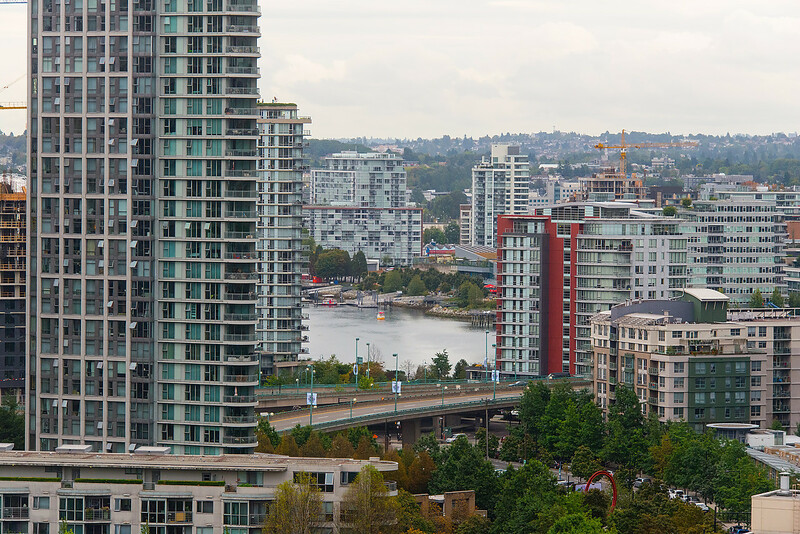 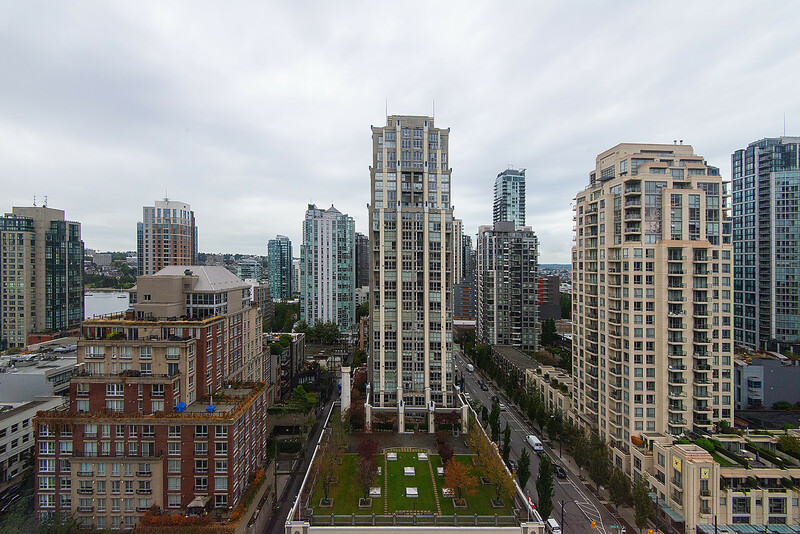 Beautifully updated corner unit with southeast exposure and partial water views to False Creek. 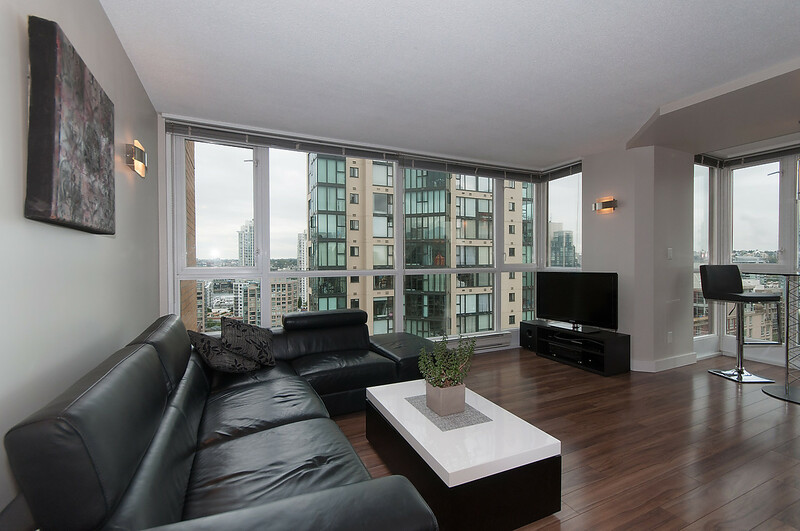 This one bedroom unit has been tastefully updated with an open plan, new kitchen, new bathroom and floors. 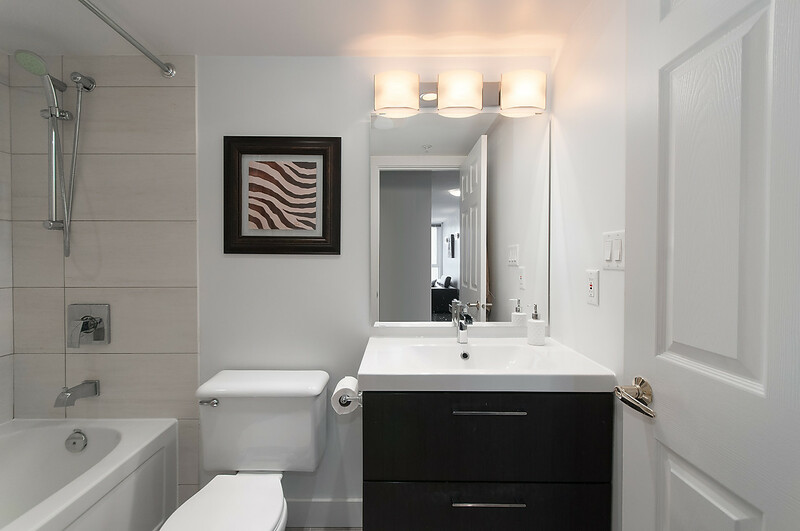 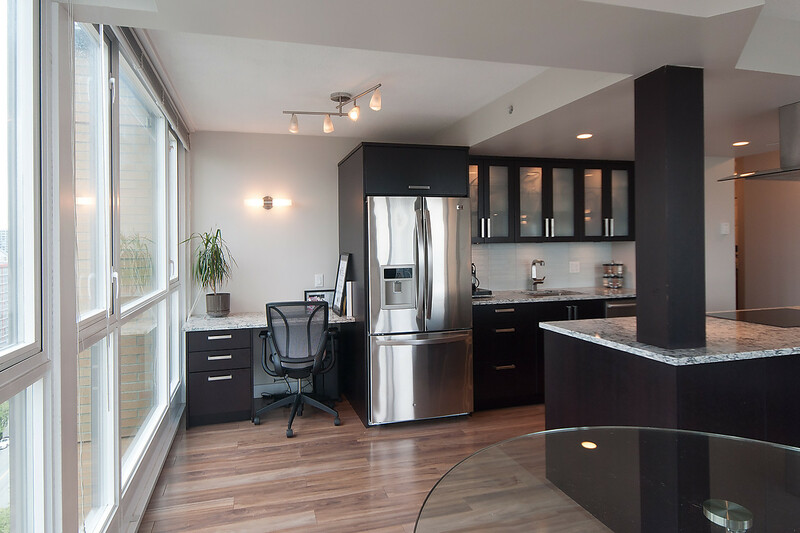 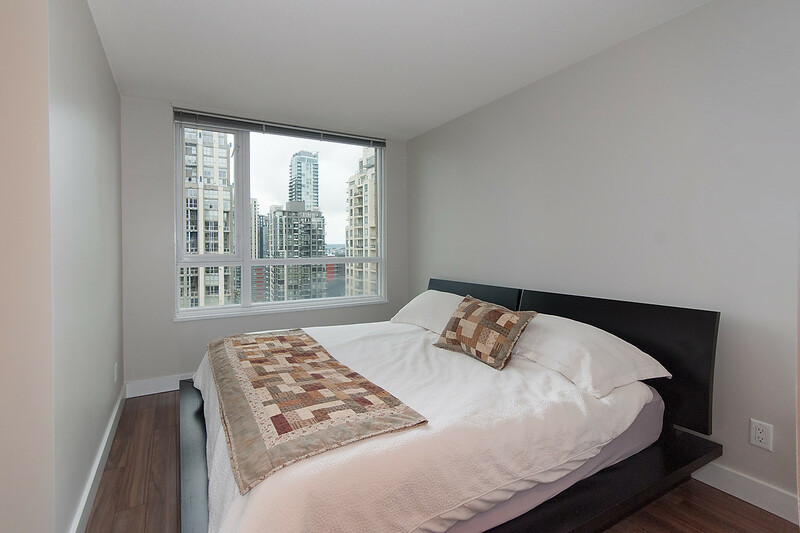 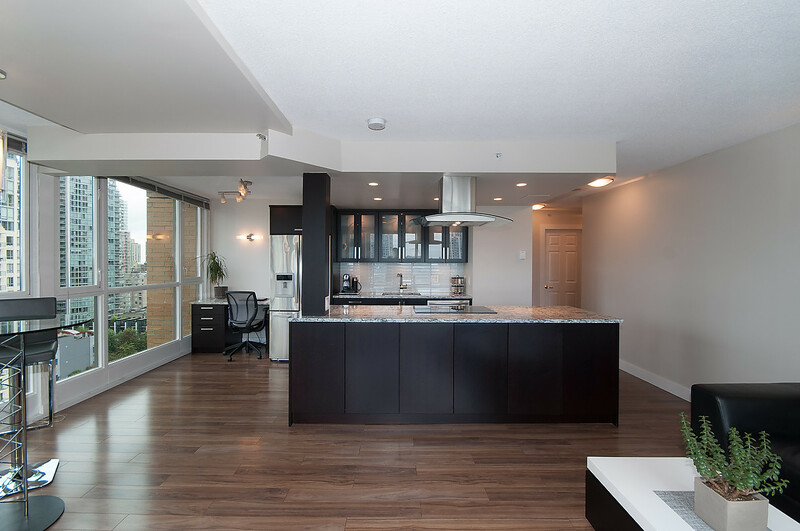 The unit is a fantastic size with in- suite storage and built-in desk for a corner den. 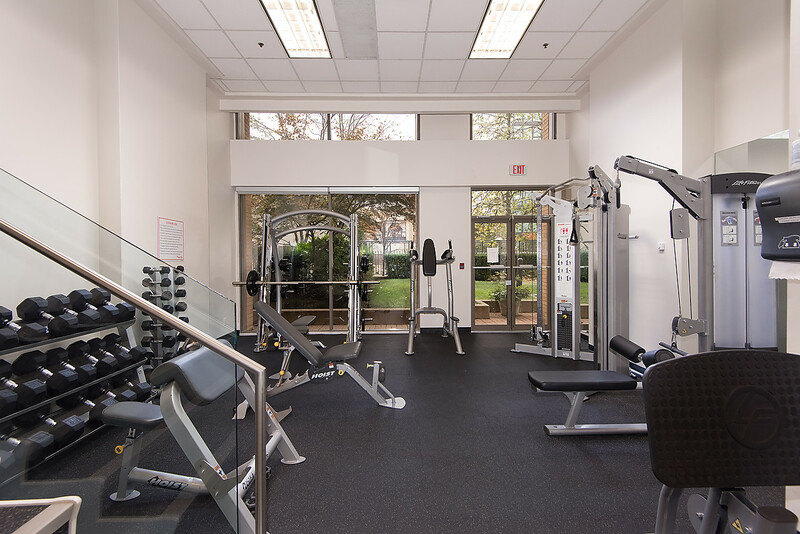 The building has been well taken care of over the last few years and includes new lobby and gym last year. 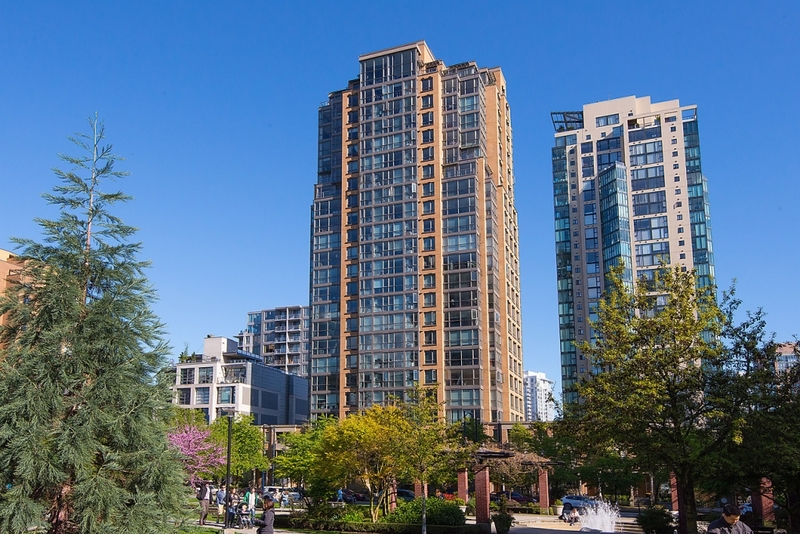 Situated across the street from Emery Barnes Park with a playground and off leash dog area.